Hillary Clinton, former U.S. Secretary of State (2009-2013) and 2016 Democratic Presidential nominee, joined CNN’s Fareed Zakaria for a wide-ranging interview set to air on Sunday, Oct. 15, 2017 at 10:00am Eastern and Pacific. The interview covered the subjects of Iran, North Korea, Mrs. Clinton’s relationship with Vladimir Putin, what happened in the 2016 American presidential election; sexism in America; and her toughest life moments. 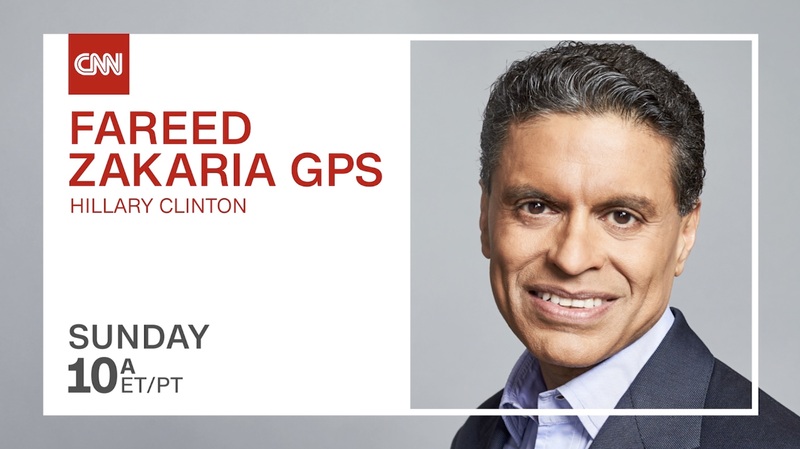 This special edition of Fareed Zakaria GPS will air Sunday, Oct. 15 at 10:00am Eastern and Pacific on CNN/U.S. and at 3:00pm Eastern on CNN International in North America.